Make your next company event an experience to remember! 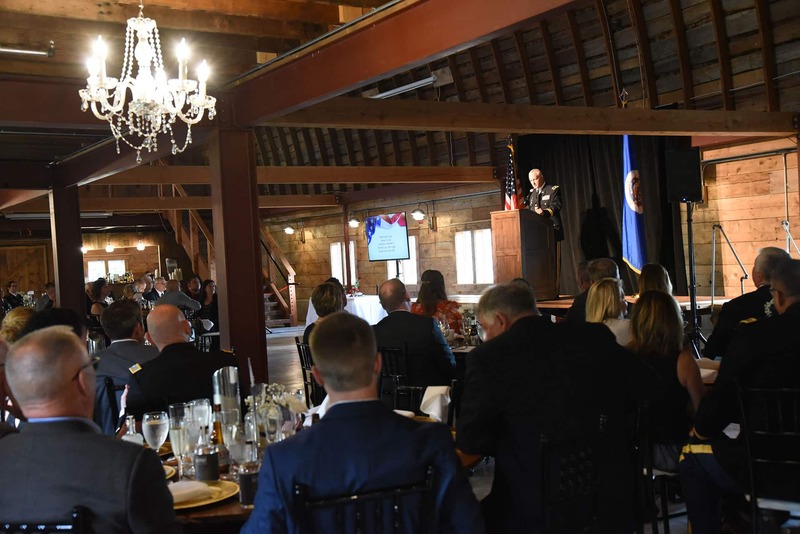 Historic John P. Furber Farm is more than just a wedding venue – we have opened our gates as a corporate event venue in Cottage Grove, Minnesota as well. Away from the hustle and bustle of turbulent city banalities, Furber Farms provides a relaxing and enjoyable stay. Along with the farm’s rustic appeal and interior wooden décor, rooms are fully air-conditioned or heated, giving guests a fresh and cozy stay. Guests can relish the scenic valley, vast and healthy fields of flora, and endearing sunset all-year-round – even during the cold season. The historic barn boasts of more than 8,000 square feet – large and lush greeneries that provide space for around 500 people. With an additional 3,000 square feet, there’s more than enough room for the entire company to celebrate your organization’s milestones. Surrounded by woods, pastures, farm fields, and parks, this picturesque place is something your guests and colleagues will surely enjoy. Our amenities cover all holidays and events, from New Year’s Eve to MLK, Thanksgiving, and Christmas Day celebrations. We have outdoor and indoor venues that offer photo-worthy memories. 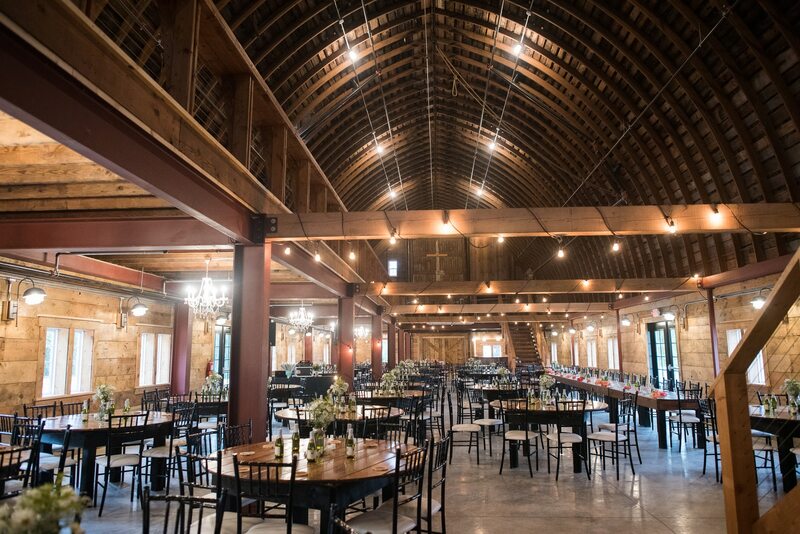 The barn, for instance, flaunts high cathedral ceilings, elegant chandeliers, silo bar areas on two floors, a mezzanine, dance floors for DJ’s and live bands, and bathrooms that can accommodate a large number of guests. 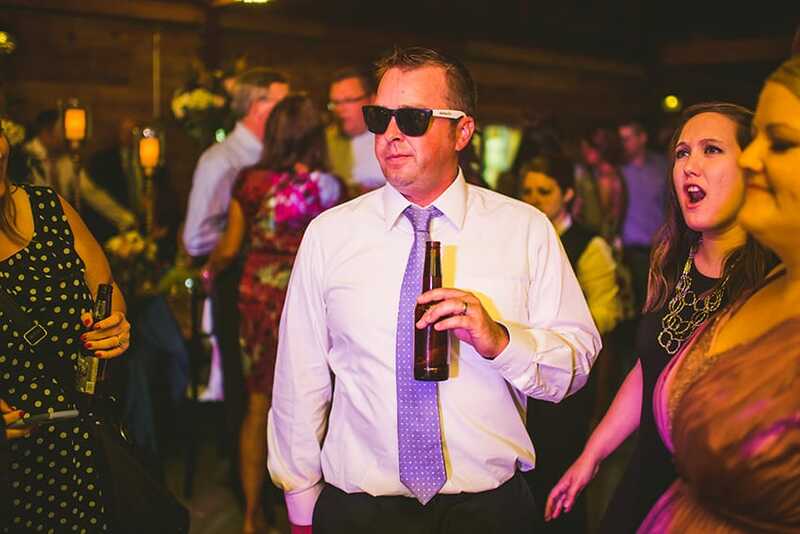 Whether it’s for company parties, black-tie events, or commemorative gatherings, Furber Farms is Cottage Grove’s premier corporate event venue. Rustic and warm, but high-end at the same time, there’s no other location like ours. Wherever you may be from the Midwestern region, from Minnesota to Wisconsin, or elsewhere in the States – feel free to drop by and visit our breathtaking barn. Contact us today and book a tour!